For the simulation purposes an idealized model of a lens-detector system, free of any optical aberrations, was made. A 50 mm lens creates an image of six points in the corners and sides of a 24x36 mm sensor. In the following part of this chapter the results presented as an field function are ordered like in the diagram below. 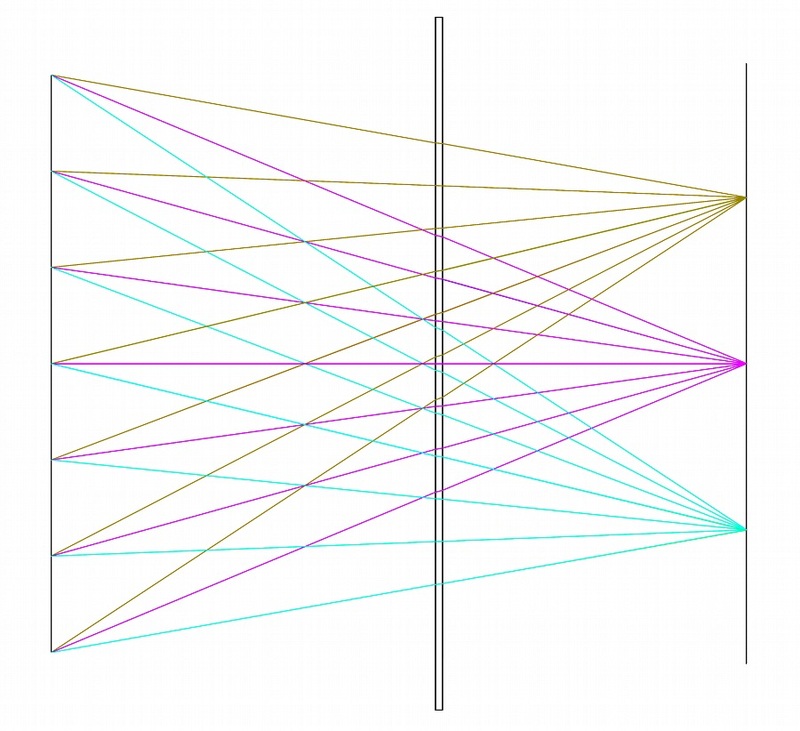 Keeping in mind the presence of a tilted mirror between the lens and the detector, six points with an unique ray paths were chosen. For example the tilted mirror is closer to no. 3 point on the detector than to point no.6. The incidence angles are also bigger in the first case so, contrary to appearances, the imaging in these areas won’t be the same. Among the chosen evaluation points you can expect the biggest aberrations in the fourth and the third point. In order to make it clearer we are going to present the whole system as a cross-section through the lens and points 3,1, and 6. Every photographer dreams about a lens which can provide perfect imaging – a fast 50/1.2 standard without any optical aberrations. The lens with such a fast aperture constitutes also the biggest challenge for the system studied here. 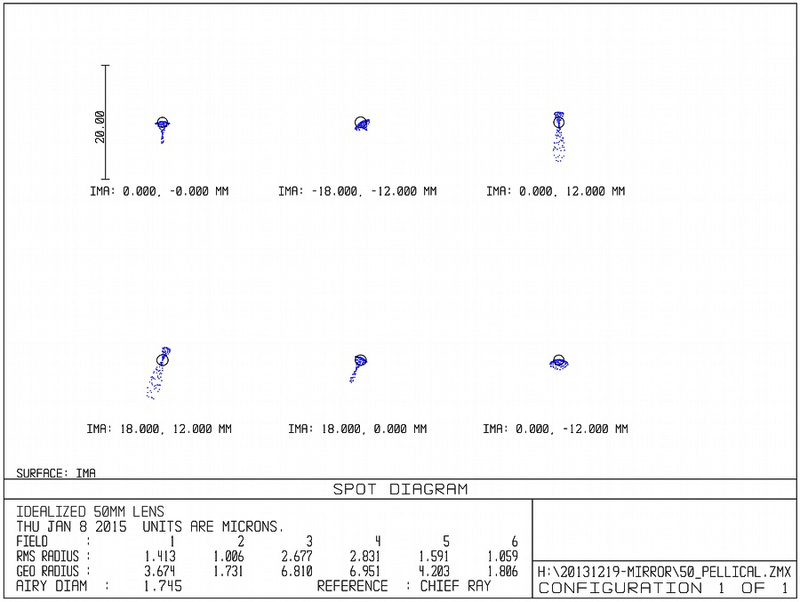 The spot diagram of our system, presented above, proves that everything works as it should. 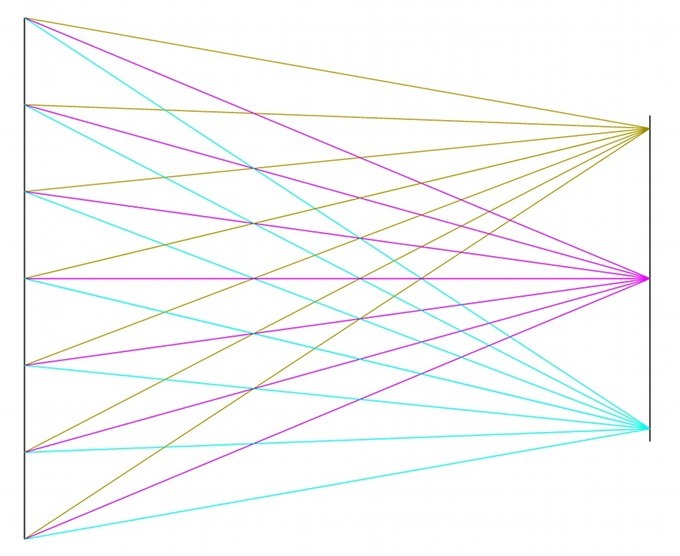 In short a spot diagram is a kind of a chart with a layout showing places where the beams of light fall, passing from an object through the system and into the image. In our case several dozen beams were ‘shot’ at random into the aperture of the lens. All of them reached a point positioned in the centre of the rings which represent the Airy disc. If the surface in the middle of that disc gathers enough of beams to get 80% of a perfect, theoretical light intensity, such a system can be called diffraction limited and it is practically the same as a perfect one. A scale presented here, which in this case is only 2 µm in length, is worth your attention; a dimension of a pixel of typical sensors amounts to about 5 µm. 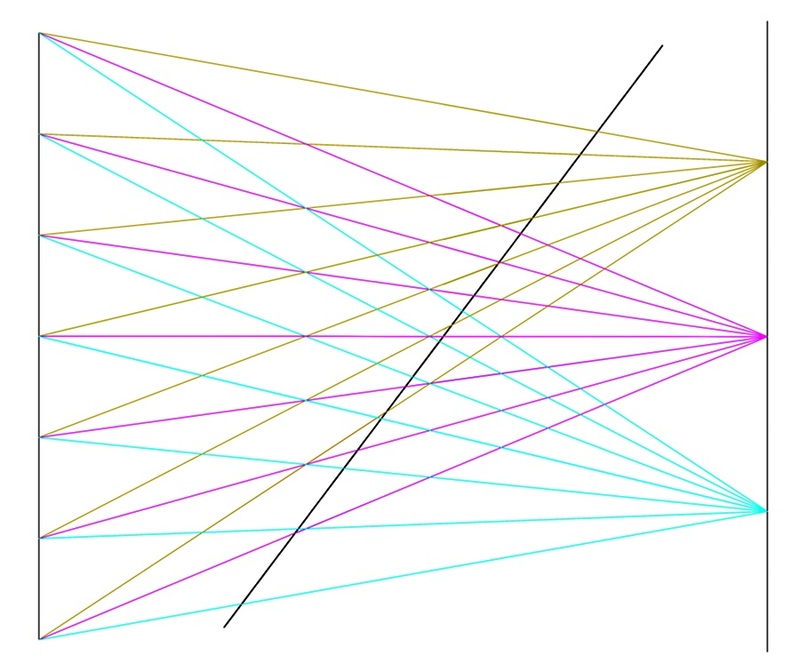 Apart from observing the spot diagram you can also use a notion of optical path difference. If you are not a big fan of physical optics feel free to jump to the next chapter. 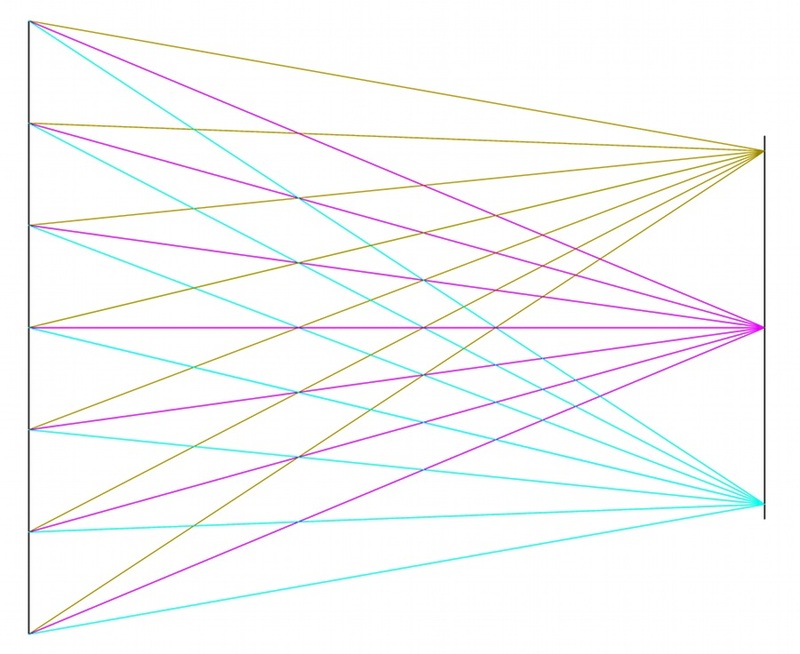 We use here the Fermat’s principle, according to which the path taken by a ray of light is the path that can be travelled in the least time, in the longest time or in time to reach a saddle point. 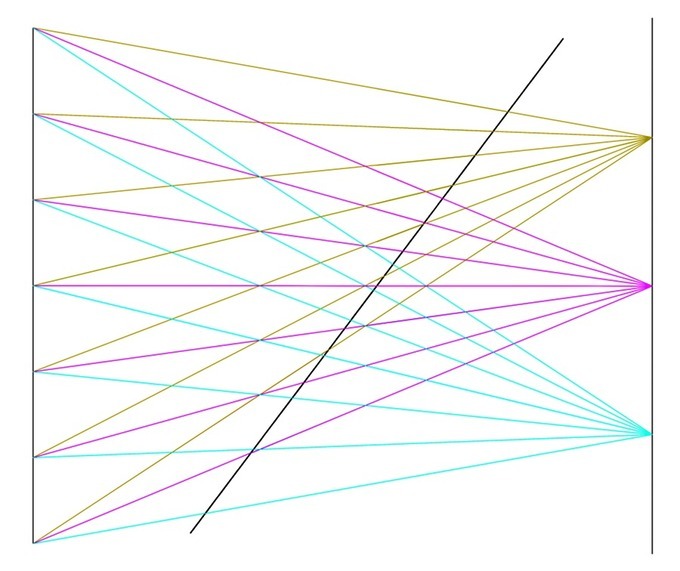 In our case the optical paths of all beams passing through the lens from a point of the object to a point in an image are the shortest and equal. 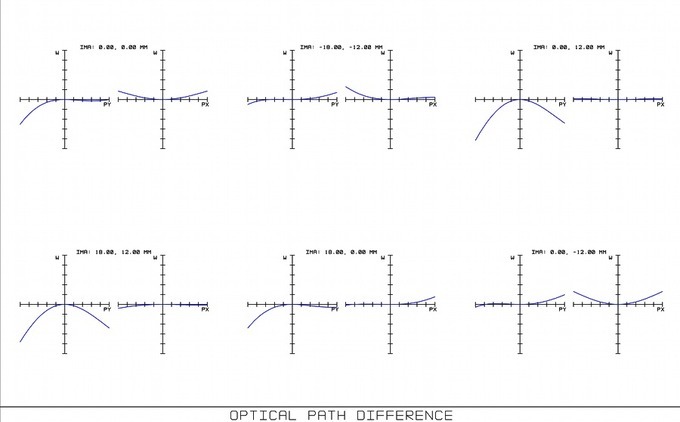 If there is some optical path difference (OPD) the beams won’t hit the same point and in numerical terms you can present such a flaw as a graph of a difference between optical paths in a function of the level of beams over the optical axis (height on the aperture). Aliquots of a meter or easier, times of the wavelength, are the units here. 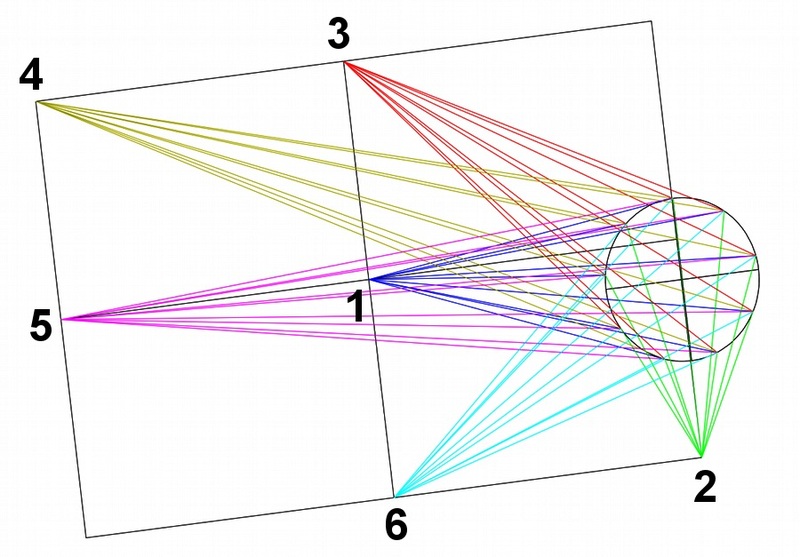 Such a graph is shown at the end of the chapter for a model of a mirror featured by the Sony A99 camera. Let’s start with inserting a polycarbonate plate 0.5 mm thick. It is true that the patent documentation suggest using cyclic olefen copolymer (COC), polyethylene terephthalate (PET) or polycarbonate (PC) interchangeably but the polycarbonate will have a bit worse parameters than the rest. 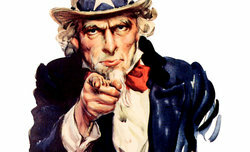 That’s exactly our reason of choosing it – we want to examine the worst case scenario. We do it of course only so we can present what such a thin plate, positioned perpendicularly to the axis, is able to do with an image. 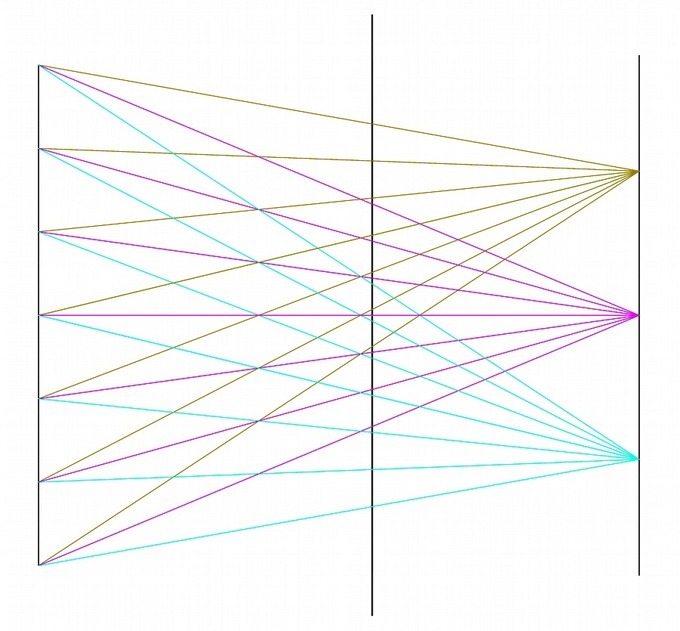 You can notice shifts of beams passing through the obstacle on both edges practically with the naked eye. The system is no longer perfect anywhere. The numbers marked as RMS radius and GEO radius present the diameter of point spread – mean squared (RMS) and geometric (GEO). They show the averaged size of the disc no matter what its shape is. Please notice how the scale changed from 2 to 100 µm – surprising but true. An ordinary plano-parallel plate causes mainly spherical aberration (! ), coma, astigmatism and distortion. The lateral chromatic aberration disappears covered by a high level of coma so we present our results for a singular wavelength; this way the graphs are easier to read. Anticipating any dramatic comments: the result presented above is just an example how a thick plate can influence an image; it has nothing to do with a semi-translucent mirror in photographic cameras. A film 0.0337 mm thick makes the system less than perfect only in extreme circumstances, when a lens features f/1.2 aperture. If you deal with an f/1.4 lens practically all the beams hit the Airy disc; only in case of fields 2. and 4. several percent of them miss the circles. When it comes to f/2 lenses and slower the system becomes once again diffraction limited. It’s time for the final step – tilting the plate so it takes a position as close as possible to the position of a mirror in a camera. Of course no producer reveals construction details of its products so the geometry of the system should be granted a several percent margin of error. Fortunately anyway its influence on the final result is minimal. Let’s not wait one moment longer and check whether a fixed mirror has any real influence on the image, at least in theory. If you compare the geometric dimensions of discs, even those most dramatic ones can be contained in 7 µm. Is it a high or a low value? A modulation transfer function (MTF) can answer that question. First bad news. Coma and astigmatism limit the tangential MTF50 value to about 85 lp/mm for fields no. 3 and 4. To be honest it would be difficult to call it a bad piece of news unless you compare it to the other one. 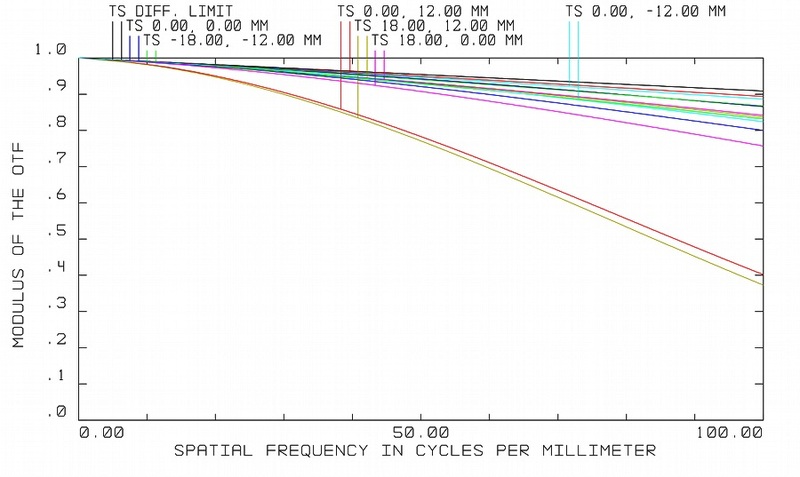 For the rest of the curves the MTF50 values are in a range from 200 to 500 lp/mm. I’m pretty sure some people would sell their flats and both kidneys in order to buy a lens which is able to achieve even half of those resolution values by f/1.2. Ok, perhaps they would leave one kidney to themselves but still. The field curvature keeps near 10 µm across the whole field of view. 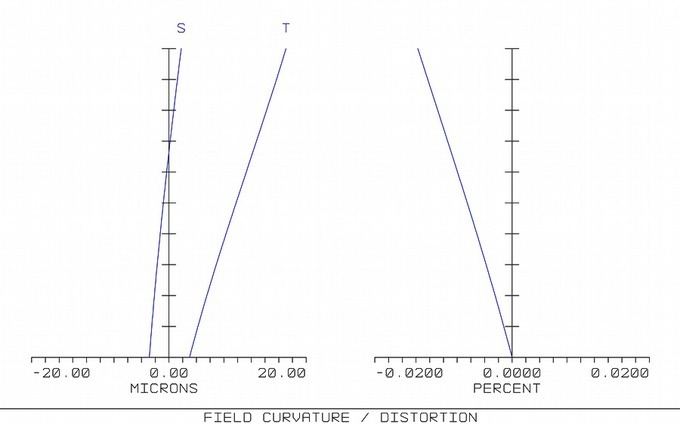 Distortion is in the range of 0.02%. You simply won’t notice those aberrations. At the end something for though guys. Those graphs present a difference in optical paths when it comes to the level of a beam over the optical axis function (so their location on the aperture of the lens). The vertical scales represent the ±2λ range so, in this case, 1.11 µm. 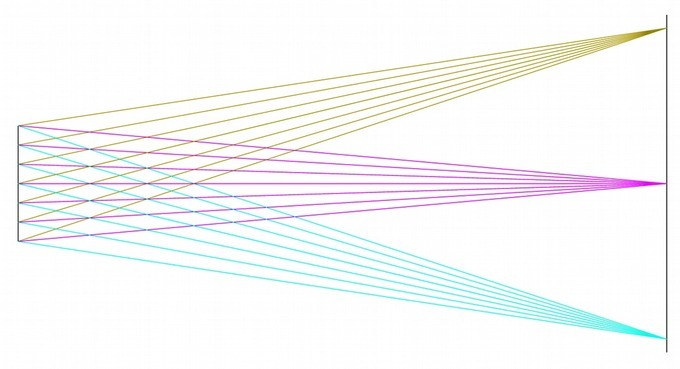 It is clear that in the majority of cases the difference in optical paths is lower than ¼ µm making the whole system close to the diffraction limit. Finally you have to add that after stopping down the lens to f/1.8 nearly all the beams hit the Airy discs. All the simulations, shown above, were conducted with an assumption that the plate was isotropic (not birefringent). According to the patent the material is isotropic and it was confirmed with polariscope in laboratory. Still,potentially tangential component might feature a lowered MTF value (in quantitative terms) during the resolution metering so cameras with a fixed semi-translucent mirror shouldn’t be used in quantitative metering of lenses’ resolution. Especially that our discussion here was purely theoretical as it concerned a perfect part – a part which in a world where companies cut costs constantly, doesn’t exist. Enough of theory. The reality might not be perfect but let’s check the quality of real mirrors which are installed in cameras.